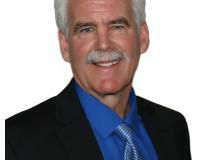 Don is a full-time REALTOR® who specializes in residential transactions. His attention to details will insure a smooth and hassle-free transaction for your sale or purchase. Don has an exceptional drive and determination to help his clients and is always available to answer questions and lend a helping hand. His personal style and comfortable approach is a refreshing change from the pushy and annoying real estate agent. His commitment to perfection will ensure a hassle-free transaction. Please feel free to contact him with any questions and you will see that his knowledge and enthusiasm make him stand out in the industry. "Helping you make all the right moves!"